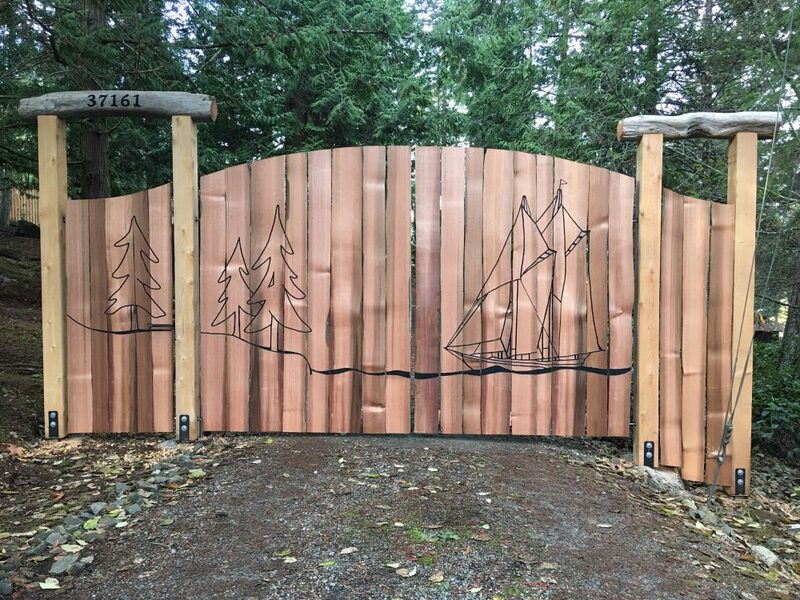 After completing the fencing section of the project last year, the Stranan’s asked me to add a hand split red cedar entrance with double gates under a curved arbour this winter. 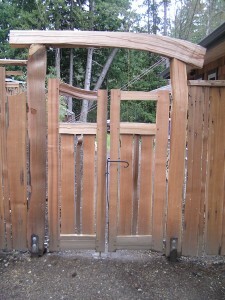 The entrance is made from all reclaimed and hand split red cedar. The entrance spans between the studio building and the existing hand split grapestake fencing. 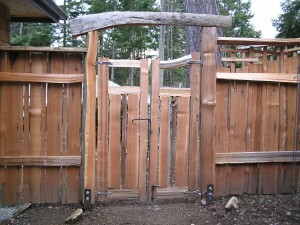 To have lots of room to bring stuff though the gates, they aske d for double saloon style gates. 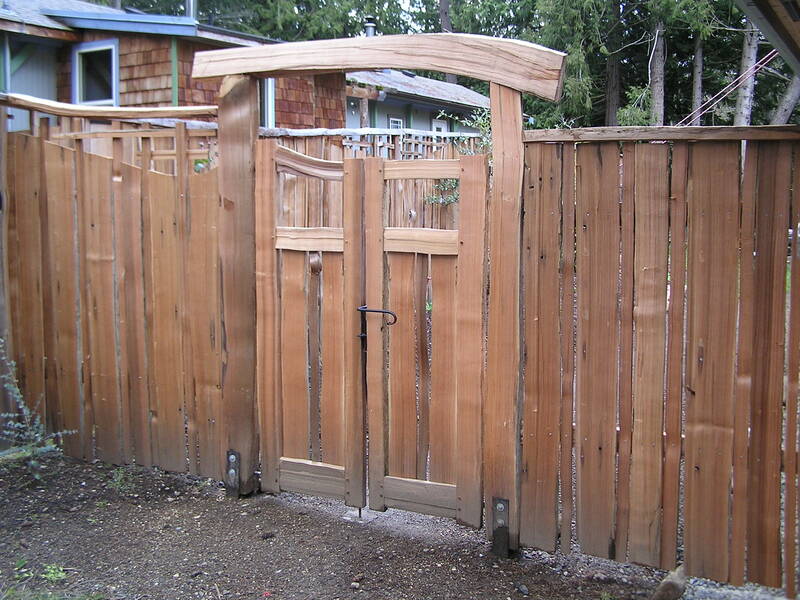 That way they can use one side most of the time, and open them both up when the need arises. 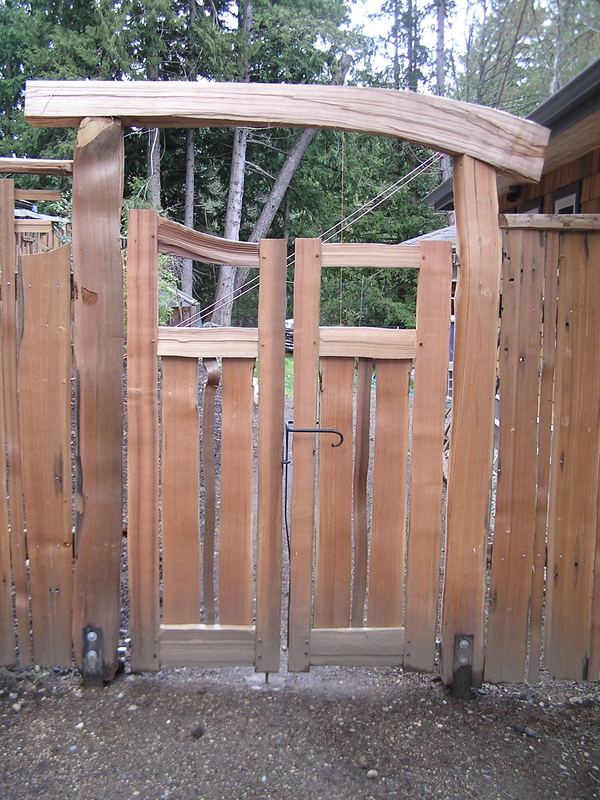 The gates are hand split red cedar, with mortise and tenon joinery, pegged with hardwood. The posts are up off the ground like the rest of the project, on metal saddles so that it will last a very long time. 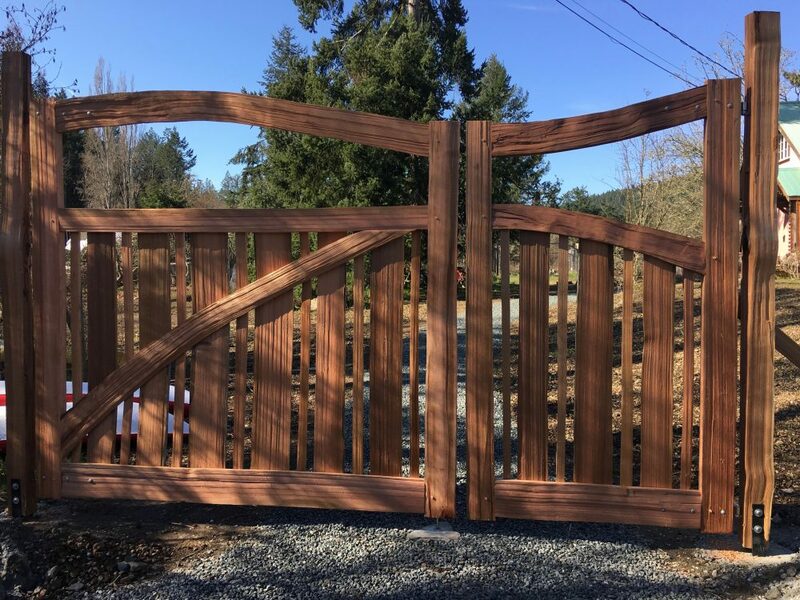 I tried to create a slight effect of mirroring the arbour in the gates, and also having the fence come in to the posts either side of gates at different heights. 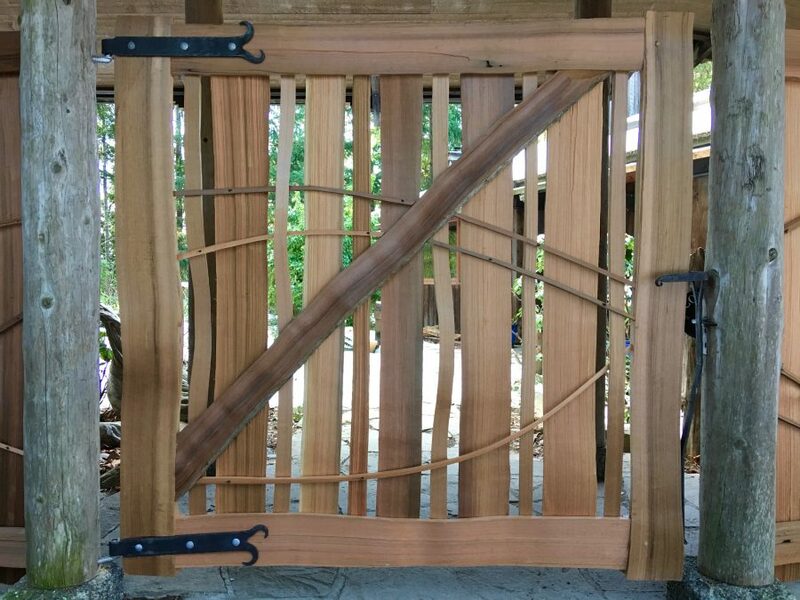 The latch is a custom design of mine, forged by local Pender metalsmith George Hudson with his wonderful attention to detail and subtle artistic flare. It is a very simple sprung latch which you push down to release from the catch. 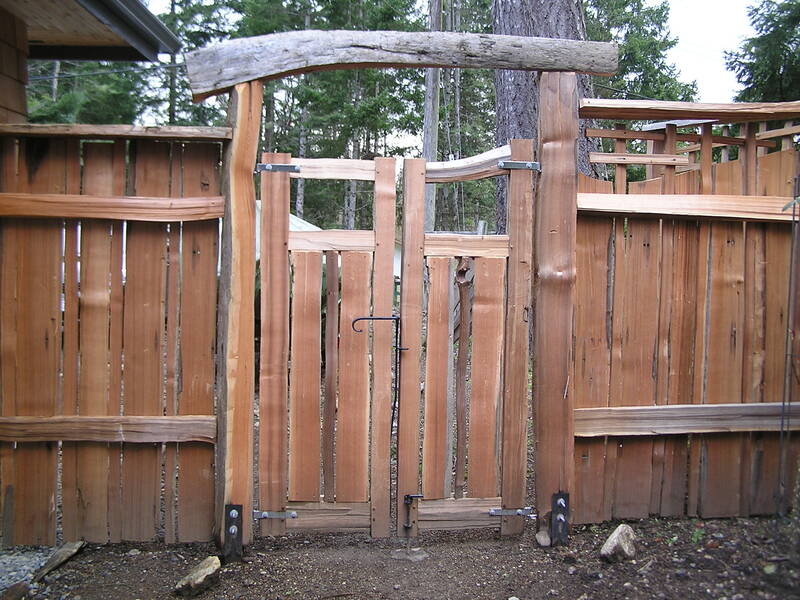 I find these work so much better and last longer than bought thumb latches, especially with the large gate stiles. Another fun project that makes me love my job!